Stay In Touch – Get Involved! 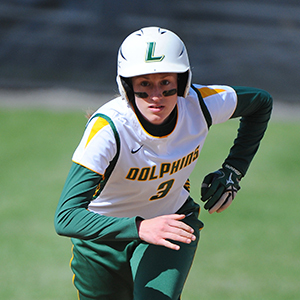 Le Moyne brims with opportunity for your student to learn, grow, lead, perform, inquire, serve and pursue rich experiences that will pave the way for your student's future. In the midst of all the activities taking place both in and outside the classroom, your student will prosper in a friendly, welcoming and supportive environment designed to ensure your student’s personal and spiritual development and professional success. 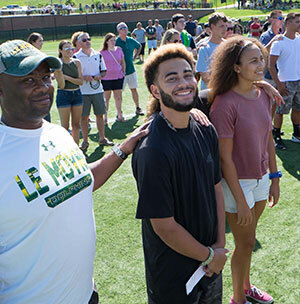 As a parent you are a vital part of the Le Moyne community, and you play a critical role in helping your student make the most of his or her college experience. We encourage you to become involved in and support the College. This marks an important chapter in your student’s life, one full of change and opportunity. You will be an important part of that adventure. 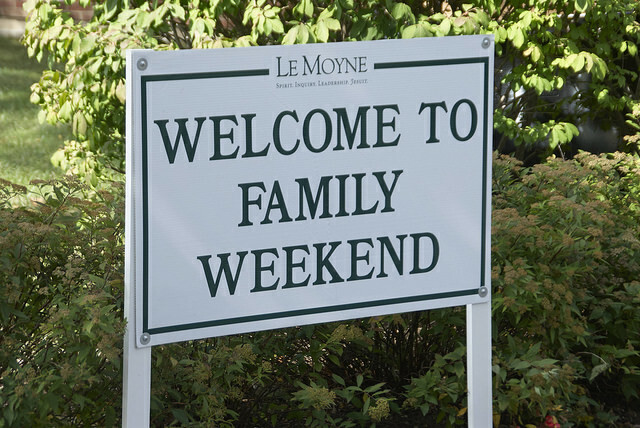 Family Weekend & 'Doc' Joiner Homecoming Weekend is the perfect opportunity for families to get a first-hand look at life on the Heights from their student's perspective and for students to show their family all the great things on Le Moyne's campus. 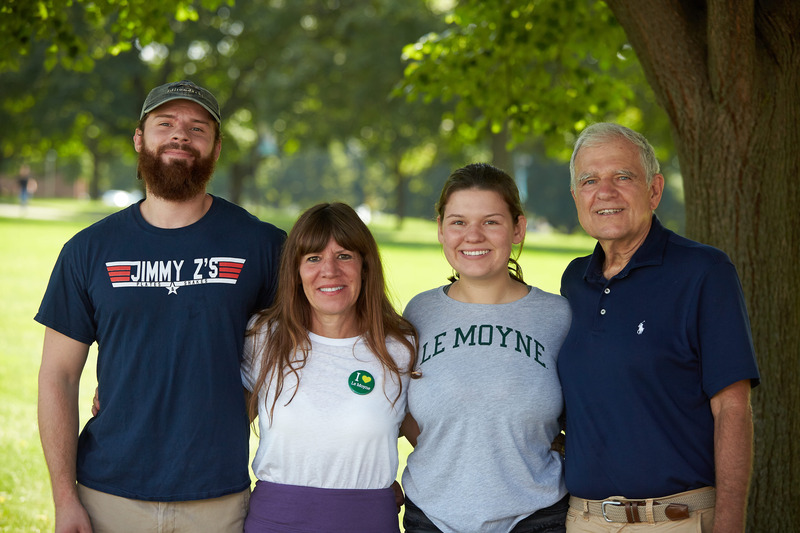 We also extend a warm welcome to our alumni parents, who have continued the legacy of a Le Moyne education. 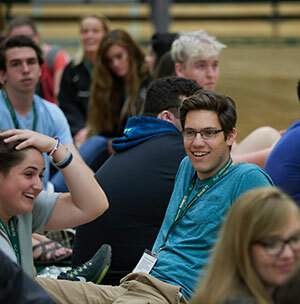 New First-year Students: As a member of the Class of 2021, you will be invited to take part in Heading to the Heights, our comprehensive orientation program that prepares you for life at Le Moyne. You will first choose a one day Summer Welcome session in June/July to help you complete the "business" of becoming a College Student. During this day, students will meet with a faculty member from their major department, complete required placement exams, and meet many of their new classmates. 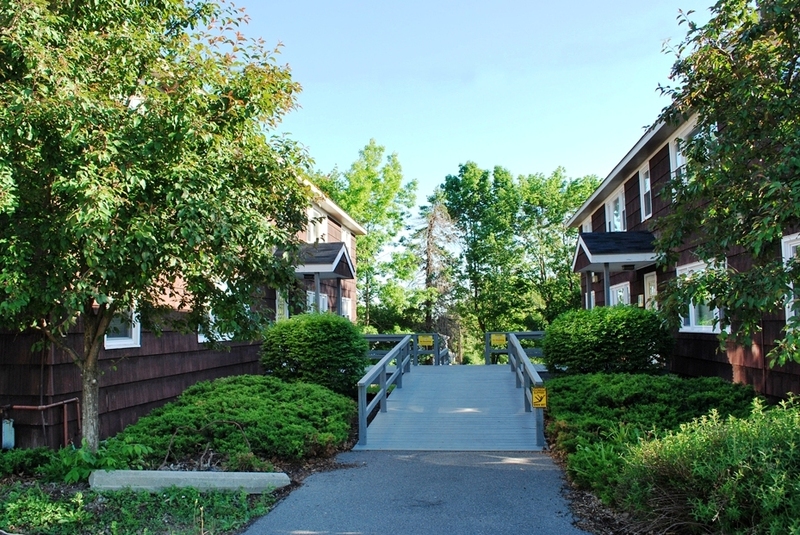 Students will leave Summer Welcome armed with their tentative fall course schedule, Le Moyne ID and information that will connect them to their peer orientation leaders throughout the summer. Students will complete their orientation experience by being welcomed to campus for a three-day Fall Arrival. This required program will include several days of welcome events and introduction to life at Le Moyne before sophomores, juniors and seniors arrive. 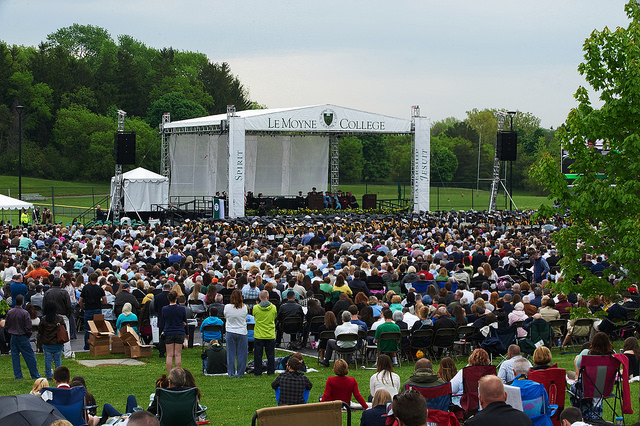 Le Moyne College's 68th Commencement activities will take place the weekend of May 18, 19 and 20. All events will be held on the Le Moyne campus. Graduate student ceremony, Henninger Athletic Center -- Friday, May 18 at 7 p.m.
Undergraduate student ceremony, outside at the Thomas J. Niland Jr. Athletic Complex -- Sunday, May 20 at 9:30 a.m. The Le Moyne Parents’ Council serves to strengthen the relationship between the College and the parents of current and former students by opening the lines of communication and promoting increased parent awareness and involvement in all aspects of life at Le Moyne, including enrollment, career services, and student development.